This is nothing new. I usually always buy flowers for myself just because. It’s the simple things you should always treat yourself to. All day I’ve been asked, who bought you flowers? I like flowers so I buy them for myself. It’s as if they should always be gifted and I think only two men have given me flowers in my life, damn shame, so I’m not waiting on that, but it’s always a nice gesture. If gifted, flowers should be given with love, they live longer, trust me, I know. Plants bring me fortitude. Through the madness lately, it’s amazing and worth keeping alive. I must have a patio or deck with a backyard so I can have a garden, whenever I do purchase a home. 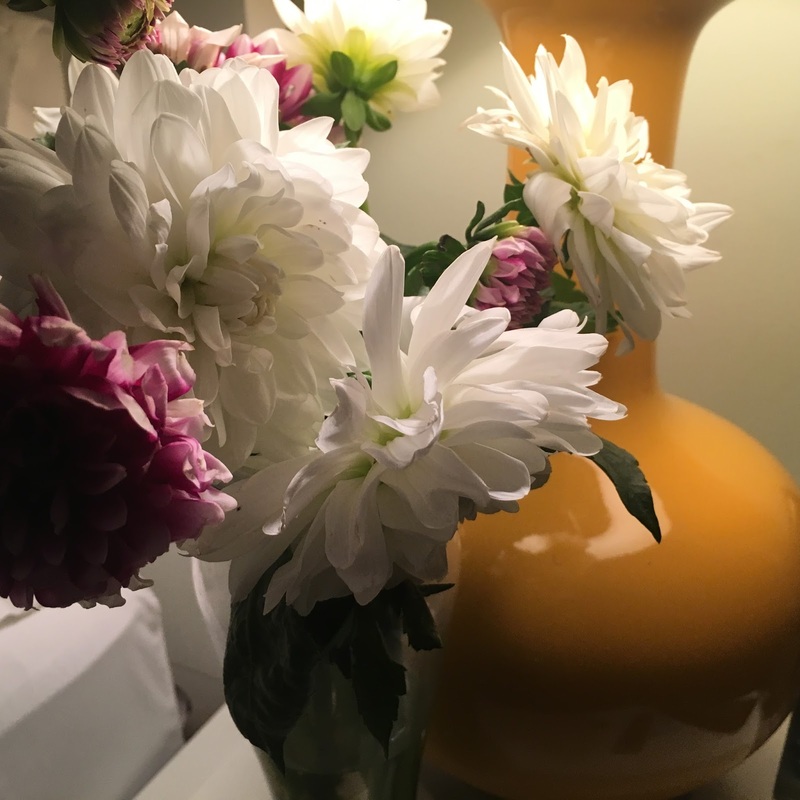 Before making a very crucial decision today, I stopped at a vendor at the Bowling Green station in downtown Manhattan, purchased these pretty Dahlias. After consulting with my mother, which I do not normally do, making a very crucial decision, glad that I purchased these flowers to bring me solitude. This is a temporary fix but for now it works. I’ll make a cup of tea or warm almond milk, take a hot shower, light a candle, turn my do not disturb on even though my hot line has not blinged since May, and pray before I sleep tonight. I think I’m closer to the “want” I’ve been praying for. Today was a good day, I hope.